Grand Theft Auto V is doing incredibly well serving people around the world. We already know that Rockstar ranked in more than $800 million during its first day in retail. 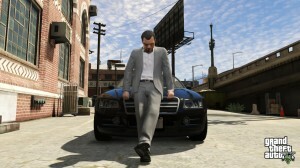 The publisher have revealed that Grand Theft Auto V has earned more than $1 billion in its first three days. They estimate that GTA V is officially the fastest entertainment property, both including video game and movies to break the number. In fact the sales for this games are purely insane. We guessed that Grand Theft Auto V was going to break the retail video game record and set a new standard for other franchises in gaming industry.